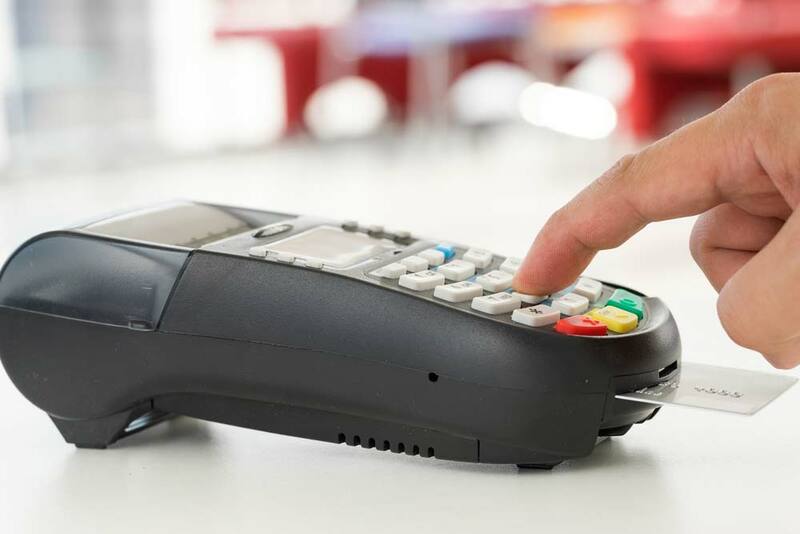 A lot of merchants are still not processing chip card transactions the way they’re supposed to long after the October 2015 deadline to switch over has passed. The reason for this ranges from merchants not updating their equipment to a backlog of merchants waiting for their chip reader equipment to be “certified” by the credit card brands. Chip cards provide significantly more security than cards with magnetic stripes, but only if used. To get the highest level of protection, the chip card is inserted into a special reader and should not be swiped as many clerks instruct customers to do. Don’t bother arguing with the clerk as likely, they have been instructed to tell you to swipe and have no idea why much less the laws pertaining to credit card processing. Bed Bath & Beyond, Staples, Sephora and Chick-Fil-A are just a few big named merchants who don’t use chip technology. Some merchants such as Whole Foods cover the slot up and there have even been cardboard inserts that block the chip opening and have the words “SWIPE” printed on them. Chip cards provide better protection for the cardholder: The chip sends the merchant a unique code assigned to an individual transaction instead of using the actual credit card number. That unique code is useless to a criminal as it is used on a one-time, one transaction basis. So whose fault is it that so many consumers still can’t use it? “It’s the card industry that’s dropped the ball,” said J. Craig Shearman of the National Retail Federation. The credit card companies say the delay is due to poor planning by the retailers who are now creating a rush hour effect with so many trying to get enabled at once. “If merchants didn’t start early enough, they are finding themselves being caught up in a queue of waiting to get all of those necessary pieces in place,” said Randy Vanderhoof, Smart Card Alliance. If a customer is forced to swipe instead of using the chip reader and a data breach occurs, the merchant is now liable, not the credit card company. That means instead of the issuing bank paying the loss of a suspicious charge, the merchant must eat it. Chosen Payments offers a host of EMV compliant terminals that are ready to be deployed immediately. Merchants are encouraged to utilize all available resources, including chip technology to reduce credit card fraud and avoid unnecessary losses. Customers will certainly question merchants on why they are being exposed to an unnecessary risk when conducting business with those behind the times. If you need an upgrade on your terminal, please call Chosen Payments at 855-4CHOSEN.